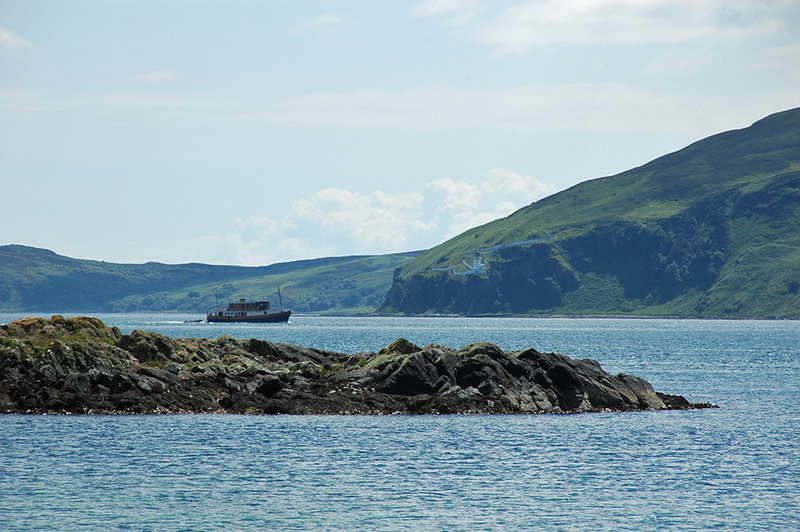 A view from the Jura side of the Sound of Islay, as a small cruise ship is entering the sound from the South. McArthur’s Head with the lighthouse on the other side of the sound, the shoreline with Proaig towards Ardtalla in the background. This entry was posted in Jura Excursion, Landscape, Lighthouses, Repost, Sunny Weather and tagged Islay, Jura, McArthurs Head, Proaig, Sound of Islay by Armin Grewe. Bookmark the permalink.